Responding to the The Parliamentary Ethics Committee, headed by veteran Bharatiya Janata Party (BJP) leader Lal Krishna Advani's move to issued him a show-cause notice on the British citizenship issue, Congress vice-president Rahul Gandhi said: "We will deal with that." The Ethics committee has asked him him to respond to questions on whether he had once declared himself a British citizen. Another member of the committee, Arjun Ram Meghwal, said it was a very serious matter and the committee will discuss the further course of action once the Congress vice-president responds. "A complaint reached the Lok Sabha speaker which she forwarded to the Parliamentary Ethics Committee. The Ethics Committee therefore issued a show-cause notice asking him to respond as to how he showed his British citizenship when he was about to become the director of a company in London," Meghwal said. "This is a very serious matter and we will discuss once he responds," he added. 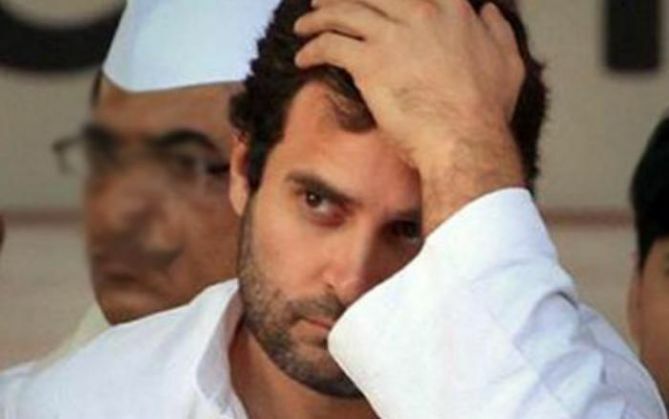 BJP leader Subramanian Swamy had accused Rahul of declaring himself a British citizen to float a firm in that country. He had written to Prime Minister Narendra Modi and demanded that Gandhi be stripped off his Indian citizenship and his membership of Parliament. Swamy alleged that Gandhi had floated a company called Backops Limited in 2003 in the United Kingdom, and in the annual return form, he had declared himself to be of British nationality with a UK address. Rahul also held 65 per cent of the total shares issued by this company, Swamy claimed.